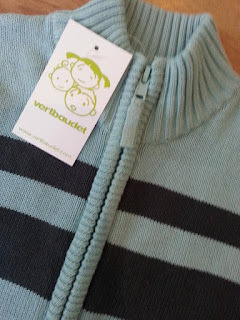 Mum of Five Staying Sane: Review post of the gorgeous Vertbaudet children's clothing collection for newborn up to age 14 years. So many clothing options to choose from. Summer dress, vest tops, jeans and more. 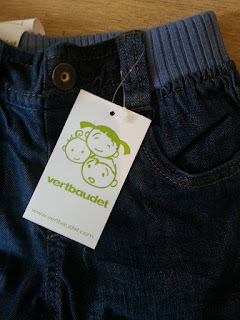 Review post of the gorgeous Vertbaudet children's clothing collection for newborn up to age 14 years. So many clothing options to choose from. Summer dress, vest tops, jeans and more. 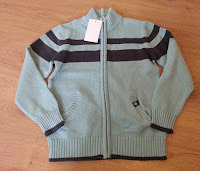 We were recently sent some lovely children's clothes from the current Vertbaudet collection. With five children I am always shopping for new clothes for one of them and sometimes it's not always easy to find clothes that you like. The Vertbaudet collection is packed full of choice for boys and girls from newborn right up to age 14 years. This age range is fab and currently covers four out of my five children. This is great as it means I can shop from the comfort of my own home and have clothes delivered to my door for four children in one package. 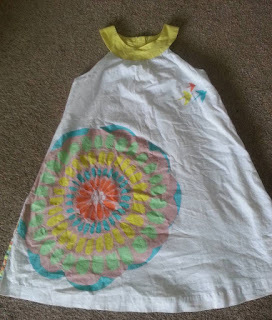 I was sent a gorgeous Summer dress for my 8 year old, a lovely cardigan and 3 pack of vest tops for my 5 year old and a pair of jeans for my 2 year old. The Summer dress is lovely. 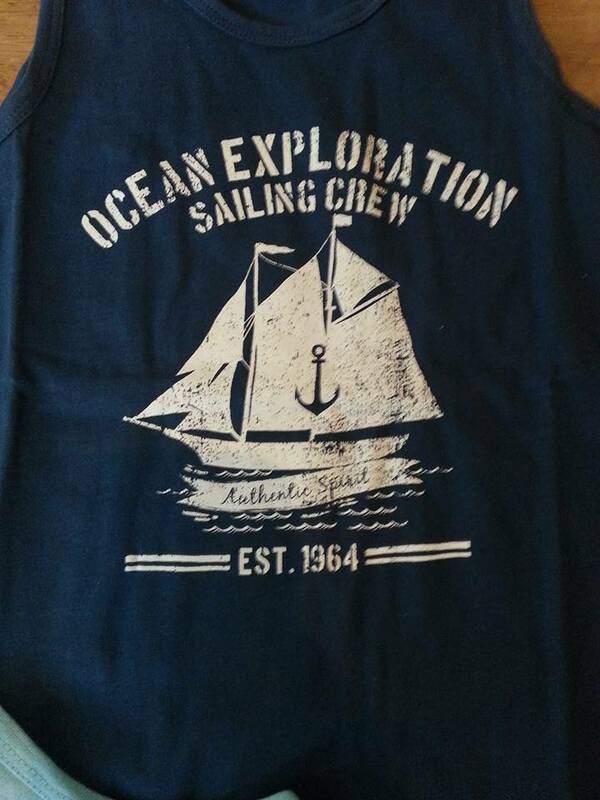 It's 100% cotton and is lined. From the girls Cosmic Zoo range it is sleeveless but with a lovely rounded neck detail with thick shoulder straps. We choose the lovely white print design. A white background with large flower style print to the front and an all over print to the back. It looks lovely on and it has a lovely shape to it when worn. Ideal for warm summer days and looks lovely for wearing out to parties and special occasions too. My daughter loved the dress. It was light and floaty and fitted lovely. Available in age 2 years to 14 years and currently on offer with prices starting at £12.60. 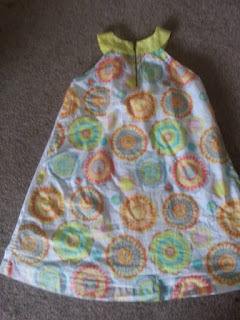 Same style dress available in other patterns too. 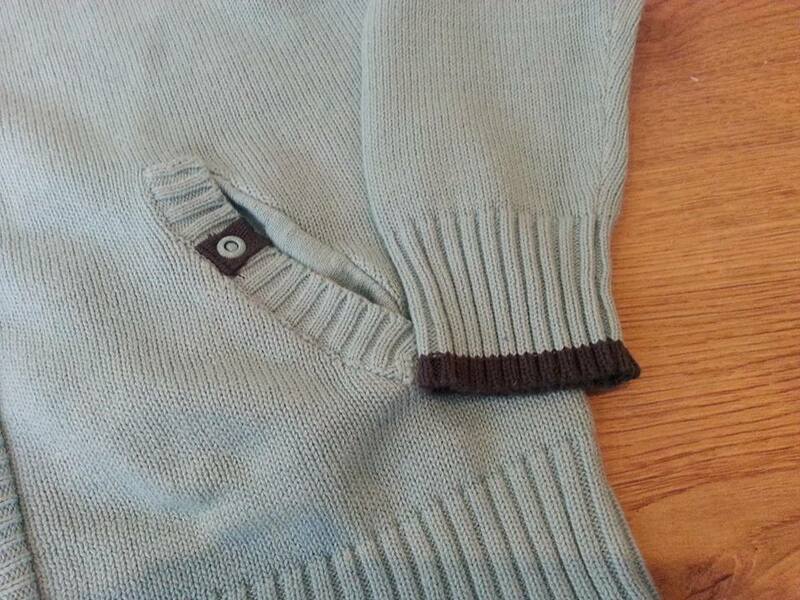 Next up is the gorgeous teal knitted boys cardigan. This is a gorgeous item. The colour is lovely and the cardigan is an ideal cover up for chilly Summer evenings. 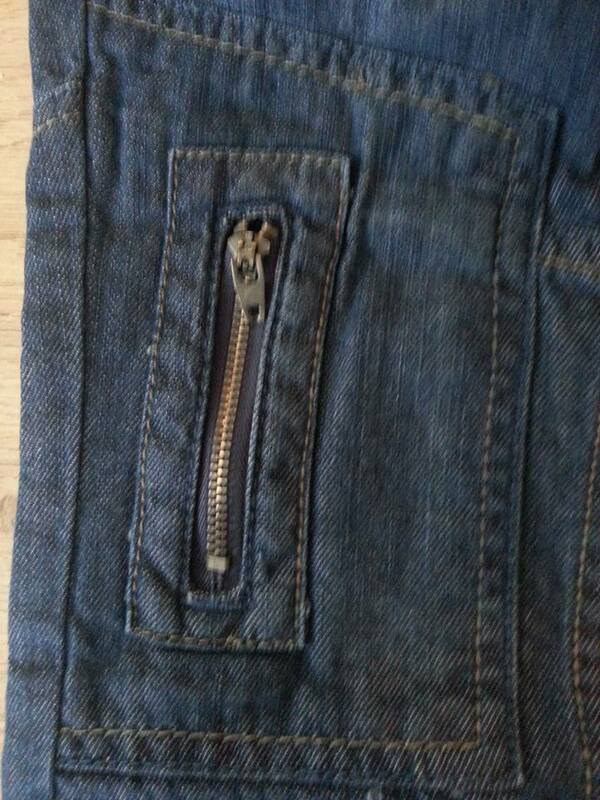 The zip up design makes it easier for my son to do by himself rather than having fiddly buttons. It looks lovely and smart on and washes extremely well. 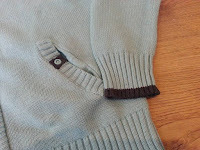 It is a 100% cotrton jersey knit. The three pack of vest are fabulous value for money. The colours are great and their a few colour combinations to choose from when purchasing. We chose the navy, aqua and grey colour three pack with boat/car and tiger print to the fronts. Ideal for the warmer Summer days and holidays away. 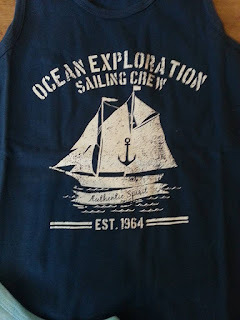 Small folding, easy to wash and great to put on with a pair of shorts for the beach or play in the garden. 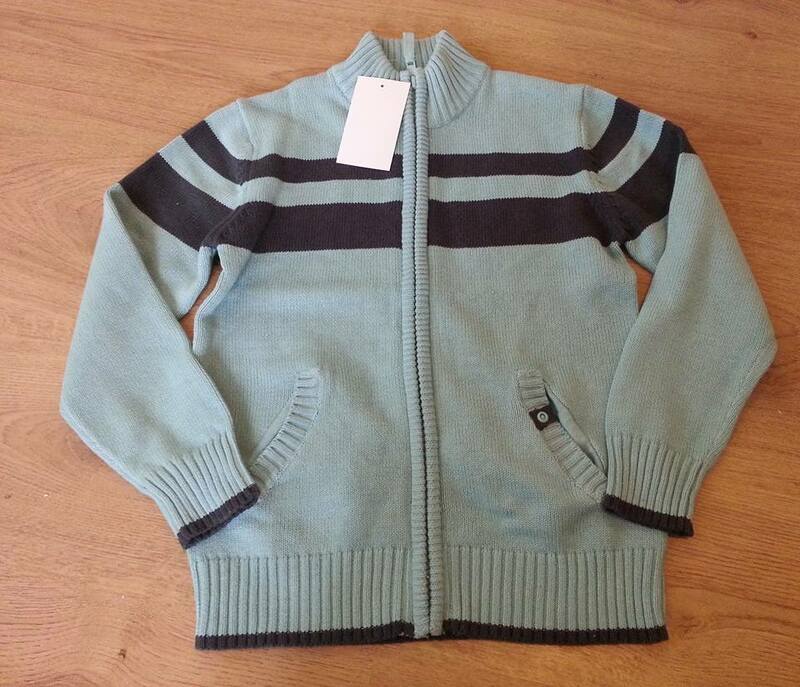 100% cotton jersey (grey marl 83% cotton and 17% viscose). 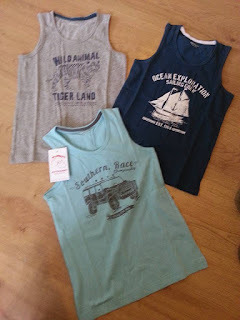 A lovely three pack of vests available in age 2 years to 14 years. 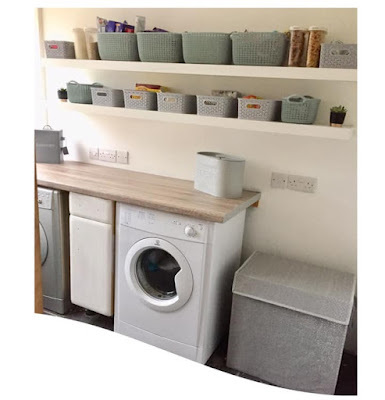 Superb value on offer at the moment with prices starting at just £7.20 for the set of three and lots of other colours available too. 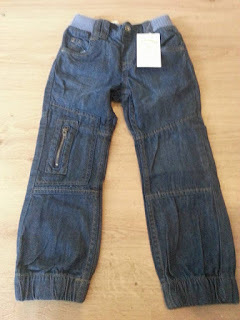 Last but not least is the gorgeous jeans that were tried out by my two year old. 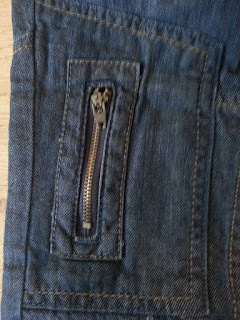 These were a lovely soft denim material. With the adjustable ribbed waistband which is always very handy and elasticated around the ankles these look lovely on. 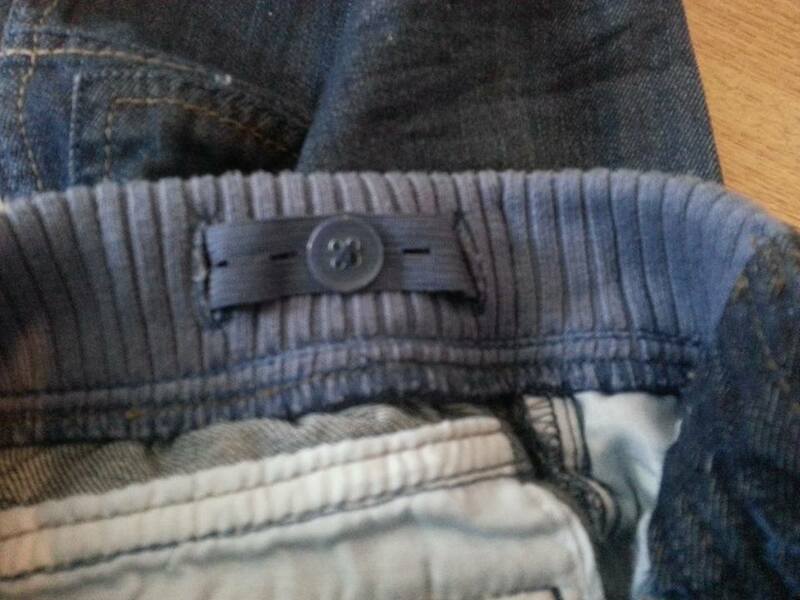 A zip detail to the front and a small Vertbaudet badge label to the back of the waistband. I loved the look of these jeans. 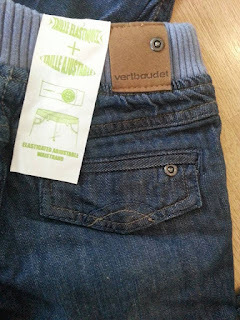 They were loose and comfortable on my 2 year old unlike some jeans I have bought from other retailers which aren't generously cut at all and he an sometimes look uncomfortable. 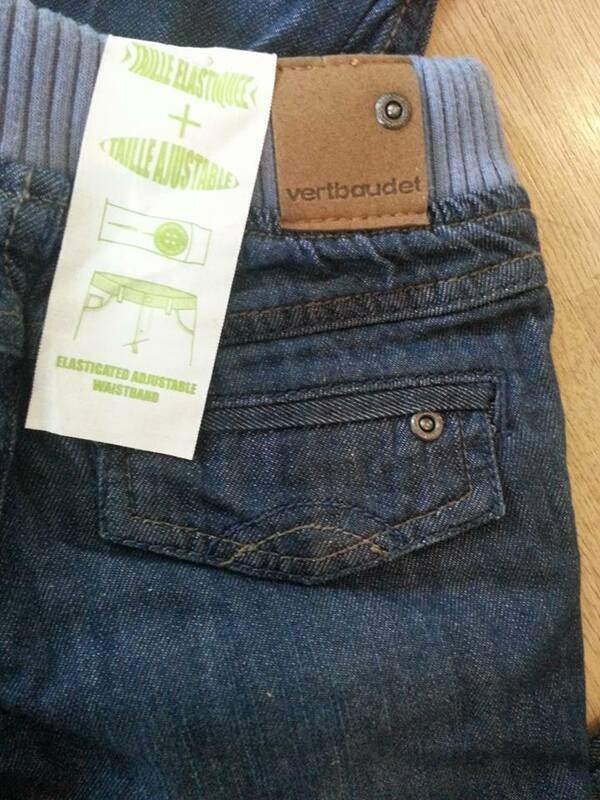 These are 100% cotton denim and they wash extremely well. No colour loss on the first wash and such a lovely feel fabric. Boys elasticated hem denim jeans, £15 for age 2 years to 8 years. 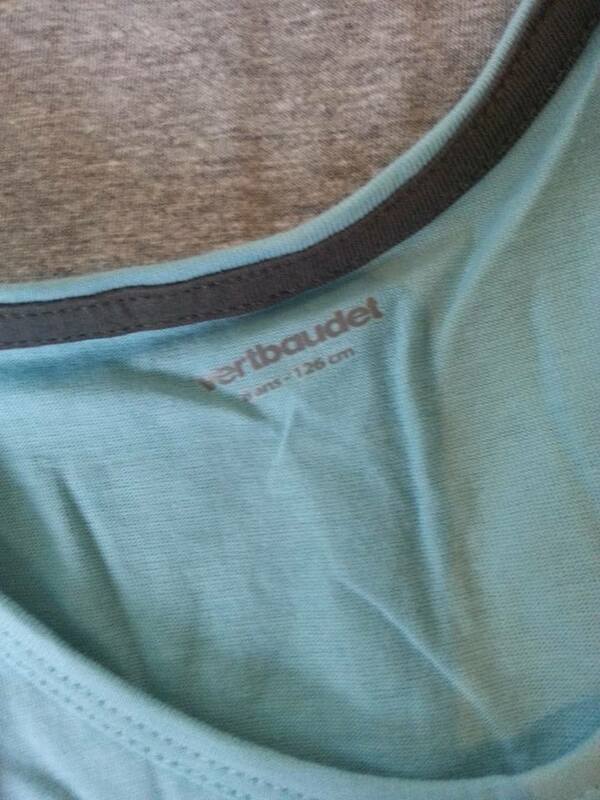 All of the items and so much more can be found on the Vertbaudet website now in their current Summer collection. With new lower prices so you only pay one price for ages 2 years through to 9 years. Free delivery when you spend £30 or more.